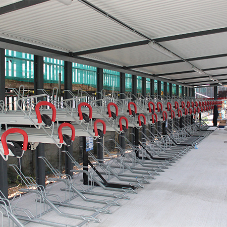 About Cyclepods Ltd - Barbour Product Search. 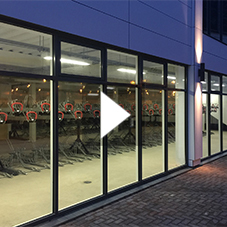 Year on year since inception we have developed, designed & manufactured innovative cycle storage solutions that are designed to save 50% less space than conventional stands whilst preventing overcrowding and damage to bikes and ensuring maximum security. 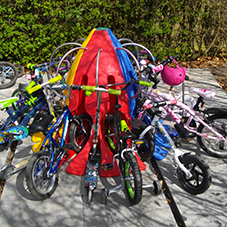 Since 2005 we have installed over 130,000 bike spaces across the UK and that number is increasing every day! 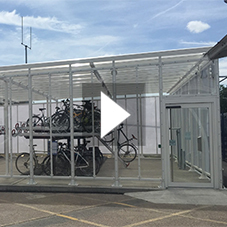 From home bike storage solutions to high volume Cycle Hubs, our product range includes traditional stands and shelters, lockers, two-tier storage and our innovative, space-saving solutions made from 100% recycled or recyclable materials. 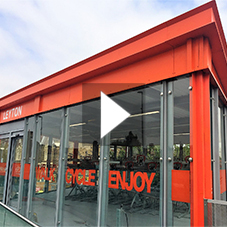 We believe that the use of recycled materials should not compromise quality and that bike parking should encourage cycling and a healthier way of life. 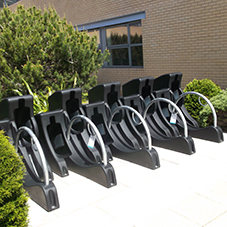 Available in a wide range of assorted colours and finishes, our products lend themselves to different environments; bike parking no longer has to be hidden as an eyesore. 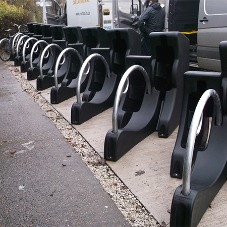 In fact, we have gone a stage further and provided advertising and branding opportunities on our products. 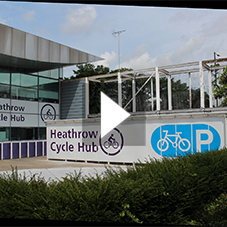 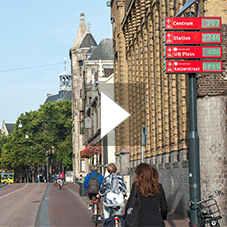 More recently we have developed and produced state-of-the-art cycling infrastructure and technology such as cycle lane separators, cycle counters, access control for hubs, bike detection, public bike pumps and repair stands and bike hire systems. 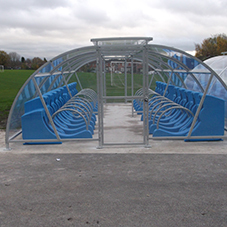 Cyclepods not only design products; we also design projects, often large and complex. 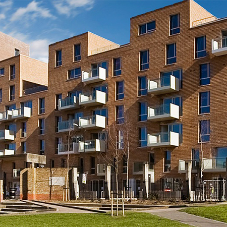 We work with our clients on design, planning permission and stakeholder engagement. 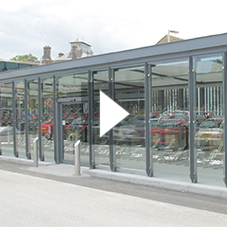 With our in-house design team, project management and nationwide installation service, we work to each client’s individual requirements to ensure best-fit solutions. 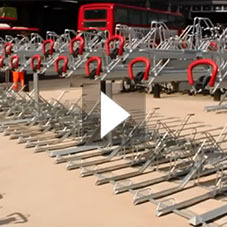 Two tier bike racks at London Waterloo Station. 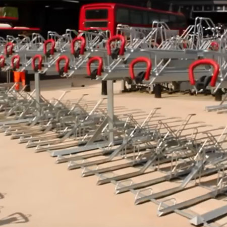 bike racks, bike storage, bike safety.